Microorganisms play an important part in our lives. As decomposers of organic material, they help keep the soil fertile, and recycle once-living matter into valuable nutrients for plants. 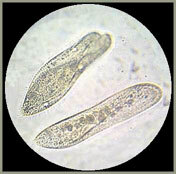 Among large varieties of microorganisms, some including paramecia have also commercial value and are used to feed fish. Because of this special application, many are culturing paramecia and it is important to know how different environmental conditions affect the reproduction and development of paramecia. In this project you will study the effect of pH, light and temperature on the population (growth and reproduction) of paramecia. Having access to microscope is important for this project. More details or support for this project is available for the members of ScienceProject.com web site. Material needed for experiments may be found locally or purchased online.